Funeral service for Conrad Perry Sharp, 87, will be Thursday, April 4, 2019 at 1:00 PM at Peck Funeral Home Chapel with Bro. Louis Montoya officiating and Peck Funeral Home directing. Burial will be in Shiloh Baptist Cemetery. Visitation will be Thursday, April 4, 2019 from 12:00 PM to 1:00 PM at Peck Funeral Home. Mr. Sharp died on Monday, April 1, 2019 at is residence. He was born March 27, 1932, in Morgan County to Henry Vernon Sharp and Dovie Icle Fowler Sharp. Mr. Sharp was a class of 1951, graduate of Cotaco High School and married his wife, Dorothy, on June 12, 1953. 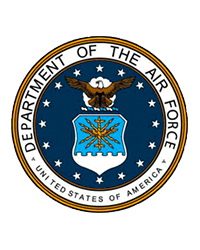 He is a Veteran of the Air Force and served from 1951 until 1955. He also became a christian and was saved on September 8, 1975. He was preceded in death by his parents. His family would like to say "Thanks" to Alacare Hospice for the Loving Care of their father and Husband. In lieu of flowers: family requests memorial donations be made to St. Jude's or to a charity of your choice. Pallbearers will be Family & Friends.